AMPM DOOR REPAIR SERVICE. CALL US AT: (800) 837-0747. WE PROVIDE SAME DAY SERVICE IN MOST AREAS. 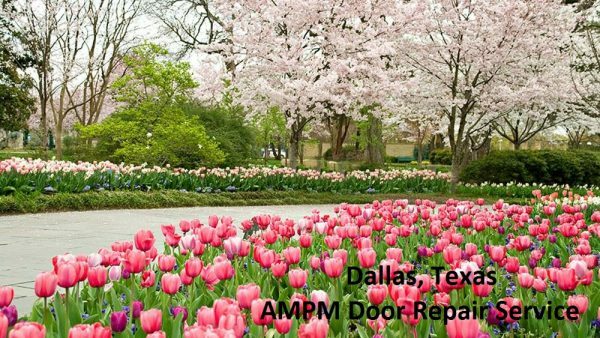 AMPM Door Service has been servicing the surrounding areas of Dallas, Tx since 1992. At AMPM Door Service, our technicians are trained to repair commercial doors. Our door repair experts can service, repair or replace Roll-up doors, Mail slotted doors, fire proof doors, handicap doors, garage doors, automatic doors and emergency doors, just to name a few. We carry a wide variety of hardware such as Emergency door hardware, door closers, panic exit devices, locks, mortise cylinders, weather stripping, door handles, dead bolts, handicap door hardware, detex bars, and track rollers amongst many, many more. Therefore we are prepared for any situation. We will also replace glass on standard storefront or glass door. Whether you need Impact glass, custom made glass, colored glass, Poly/plexiglass, frosted glass, or tempered glass we got it all!! We can provide emergency board up service for vandalized doors or break-ins. Give us a call, day or night, weekends or holidays and allow us to make all the doors in Texas safer and more efficient!! Contrary to its name, the German Chocolate Cake is actually not German at all. The first recipe for the cake appeared in a Dallas newspaper in 1957. One of the ingredients, a sweet baking bar, was named after its inventor Sam German of Baker’s Chocolate Co.
At 385 Miles, Dallas is the core of the largest metropolitan area in the nation not located on a Navigable body of water. Statistics show that wind speeds in Dallas are actually higher than the “Windy City” of Chicago. We service a 75 miles radius of the Dallas, TX area.